Need your own custom temporary tattoos fast? Inkwear charge & deliver by A5 or A4 sheets full of tattoos. 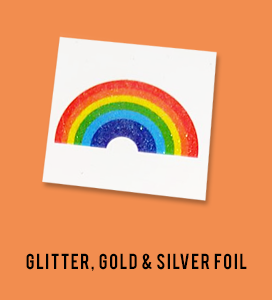 You can have as many different designs and colours as you wish per sheet. 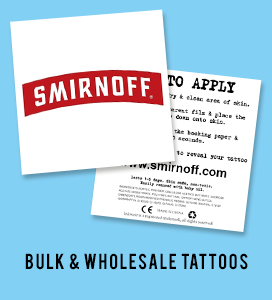 Perfect for parties, weddings, stag & hen do’s, swim clubs, marathons, brand promotions, pre-testing permanent tattoo designs. We usually ship within 1 day. 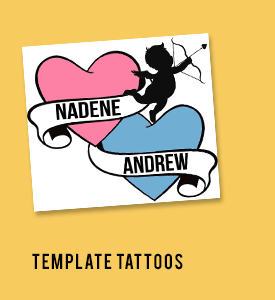 Step 1: Fill in the form with your details, tattoo size or required amount (if known), attach your design that you wish to be made into a transfer tattoo in any format* and click send. Step 2: Click BUY NOW, choose number of sheets and we’ll link your payment to your contact form information. Most orders are shipped within ONE DAY! Once you have filled out the order form please click buy now below. *PLEASE NOTE: We don’t draw or create new images so make sure they’re ready-to-print (not a photo of a tattoo you like). Leave any image flipping to us and remember white areas will be transparent glue on skin (best to cut it away). Tattoos last 1-5 days. Larger ‘fast’ orders are heavily discounted, see above prices per sheet. Gold/Silver foil NOT available with ‘fast’ A4 tattoos. Fast tattoos can be shiny when first applied, to help remove shine and make them last longer, check out our De-shine Gel.